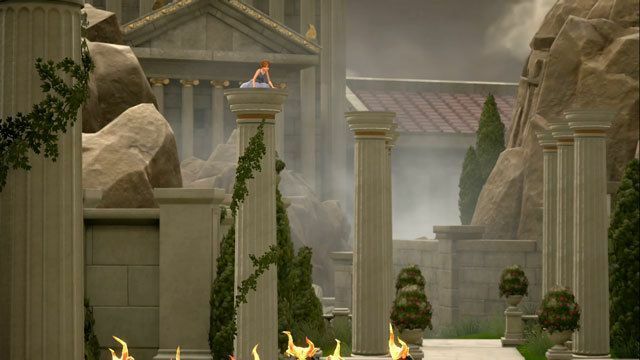 A complete walkthrough of Olympus in Kingdom Hearts 3, including ally characters, obtainable equipment, and items. Hero’s Origin Obtained after clearing the World. Hero’s Belt Obtained after finding all Gold Hercules Dolls. A person in the garden needs to be rescued. Defeat the Heartless nearby and talk to the people there to receive a Potion. 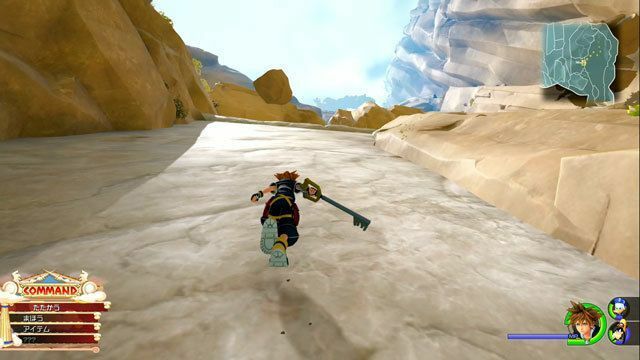 Attacking with your Keyblade using Formchange allows you to deal continuous damage to enemies. Use the finishing attack while in Second Form take care of surrounding foes. 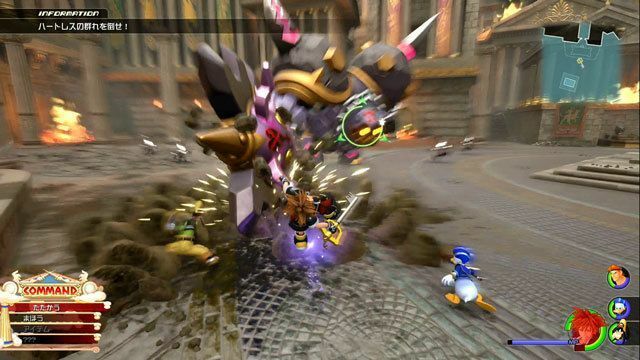 You can also use Link attacks with Donald and Goofy to sweep through the enemies. 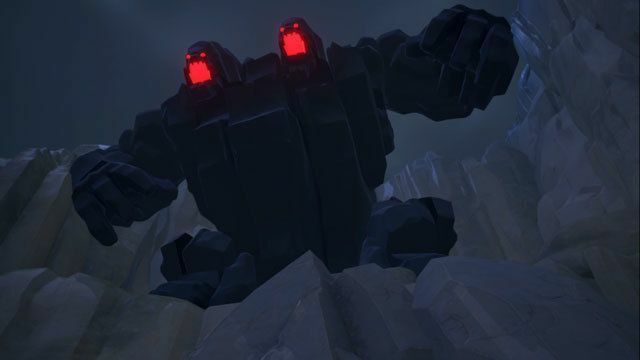 The massive Heartless hits hard with its axe and rocks. Attack it from the left side and aim for its head. You can use Link attacks with Hercules to take it down fast. As you climb the wall, the Titan will drop rocks in your direction. You will take damage if you get hit and be forced out of free-run. Avoid the rocks as you come up. Attack both legs of the Rock Titan until their HP is depleted. This will allow you to climb to its head. Use finishing attacks and Attraction Flow to do big damage to its noggin. Click here for a detailed guide on how to defeat this boss. Avoid taking the horde head-on as you can easily be overwhelmed with counterattacks. Use Fire magic to damage them from a distance before dispersing them with a finishing attack. 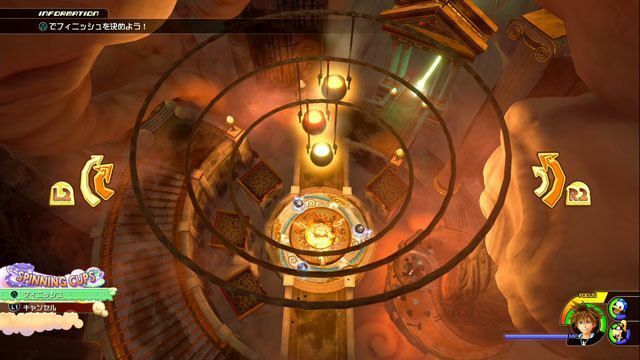 Using the Attraction Flow, you can rotate the pot containing iron. Turn them so that the two pots are on top of the bottom pot to strengthen the Knight’s Shield. 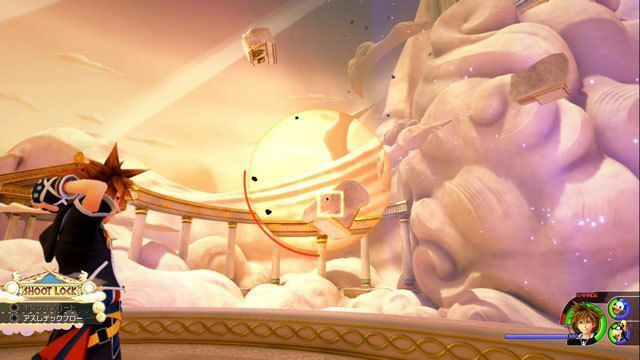 Target the star-shaped platforms with Shotlock to reach the top. Attack the Titans’ faces to deal damage. Climb the rock or use the Attraction flow to get close to the Titans’ faces before using Second Form to bring out the pain. Click on the names of Titans below for a detailed guide on how to beat them. 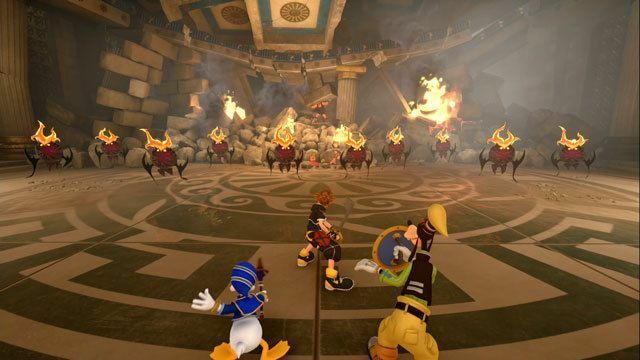 In Kingdom Hearts 3, Yen Sid suggests to Sora that he must go train with Hercules to regain his Keyblade powers. 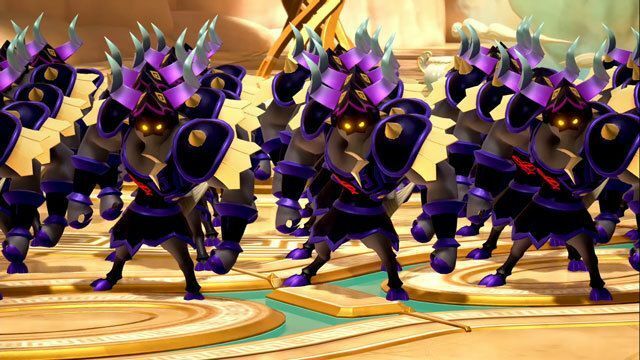 Due to Hercules’ feat of losing his power and successfully gaining it back, Yen Sid implores that he is a perfect trainer for the Keyblade wielder. 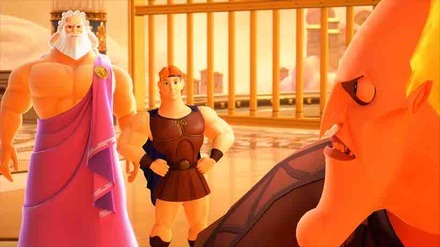 Sora must then go to Olympus and meet Hercules once again. 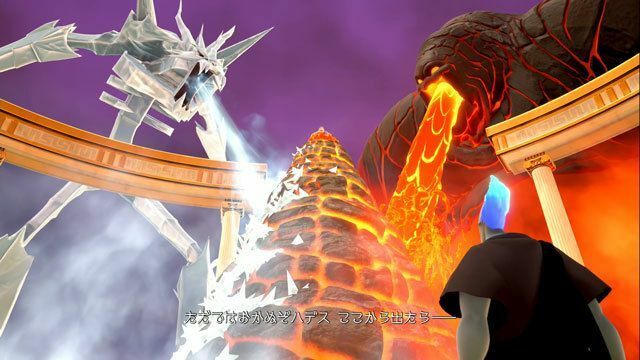 You can find out more about Kingdom Hearts’ Olympus adventure here.